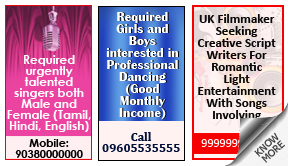 Why place Entertainment Or Commercial Personal Ad in Sikkim Express Newspaper ? Entertainment ads are usually used by a number of lifestyle and fitness establishments, such as beauty parlors, spas, gymnasiums, yoga studios and the like. Advertising in Sikkim Express’s Entertainment category is an efficient and economic way to spread awareness about your business. 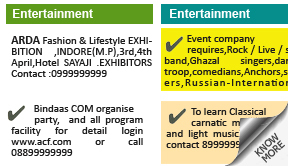 How To Book Entertainment Or Commercial Personal Ad in Sikkim Express Newspaper ?